Today, we have a guest post from Laura Whyte. Laura completed a PhD in “The Quantitative Morphology of Barred Spiral Galaxies” at the University of Nottingham in 2004 – in other words she spent 4 years classifying galaxies! After a brief stint in adult education, Laura decided the place that she could make the biggest impact was the classroom, and so she retrained to teach in 2006. Three enjoyable years of teaching teenagers Maths, Physics, and Astronomy were followed by at stint at home with babies where, needing a hobby to keep her brain ticking over, Laura considered taking up knitting, but eventually decided instead to learn Ruby on Rails and start building websites. More recently Laura managed to get a job combining all her interests at Alder Planetarium, working with the Zooniverse to develop educational websites that complement the citizen science projects. Many of you might not know that the majority of the ever growing Zooniverse technical and education team are based at the Adler Planetarium. Founded in 1930 by the Chicago business leader Max Adler, the planetarium is home to extensive space science exhibitions, and one of the world’s most important antique astronomical instrument collections on display. As a recognized leader in science education, with a focus on inspiring young people to pursue careers in science, the Adler is a natural home for the Zooniverse . Building on the partnership between the Adler and the Zooniverse , a number of citizen science projects have made their way onto the museum floor. The most recent of which is the Planet Hunters interface which has been imbedded into the recently opened exhibit, “The Universe: A Walk through Space and Time”. 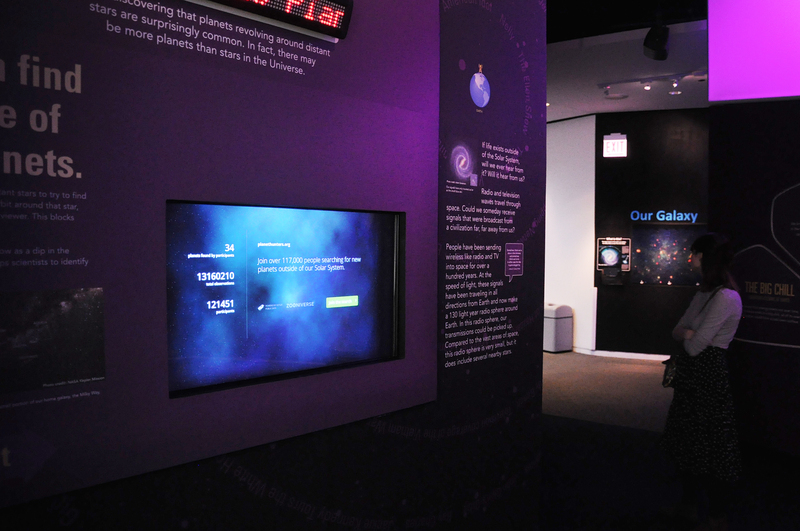 This interactive exhibition invites visitors to explore the big questions: How large is the Universe? Where did it come from? Are we alone? 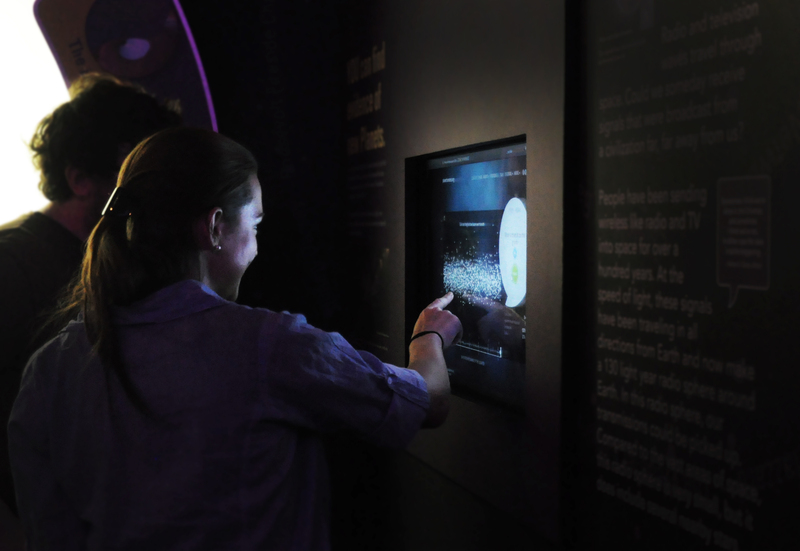 The Planet Hunters interface is extremely popular with visitors, with over 10,000 light curves classified since the gallery’s opening in early July. More exciting though, there is a unique opportunity for visitors to continue their exploration of space once they leave the planetarium. As well as a t-shirt from the gift shop, visitors can take home knowledge of Planet Hunters and maybe discover an exoplanet. How’s that for an exciting day out?